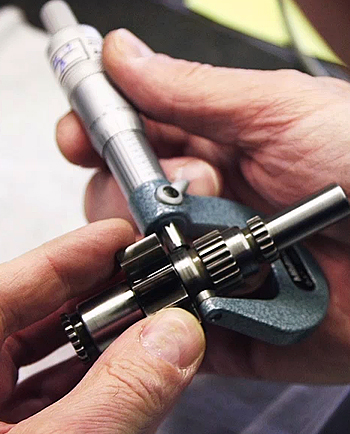 Trusted by OEM’s and relied on by operators worldwide, our MRO services include the highest quality overhauls, modifications and engineered repair solutions. Located in Central Canada and the Gulf of Mexico, our state-of-the-art facilities house highly trained technicians and the right tools and equipment to provide the repair and overhaul solution you require. With our commitment to quality, safety and lean manufacturing practices, we ensure the highest quality repair solutions with unsurpassed value. If you’re grounded and require an immediate solution, contact us and take advantage of our exchange pool of items to get you back in the air quickly. As a Transport Canada Design Approval Organization, we develop and approve custom repair solutions that exceed expectation. With robotic applications for many of our processes, we use the latest techniques and procedures to keep our customers productive. Trust us for the highest quality, on time delivery of your single part repair requirements certified exactly as you request.